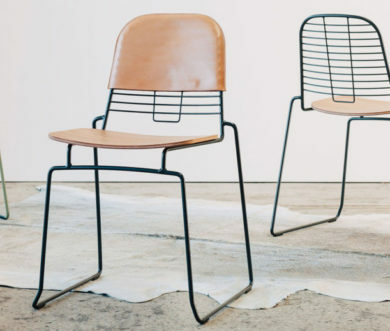 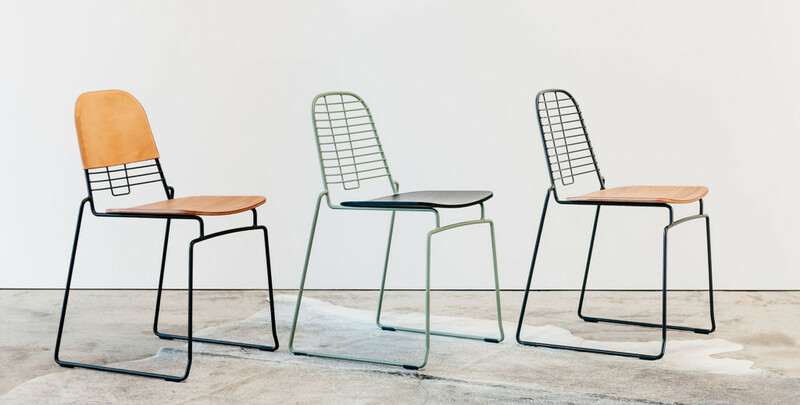 The piggy back chair designed in collaboration with Luke Mills used the tried and true technique of wire forming to make delicate, light weight yet strong structures. 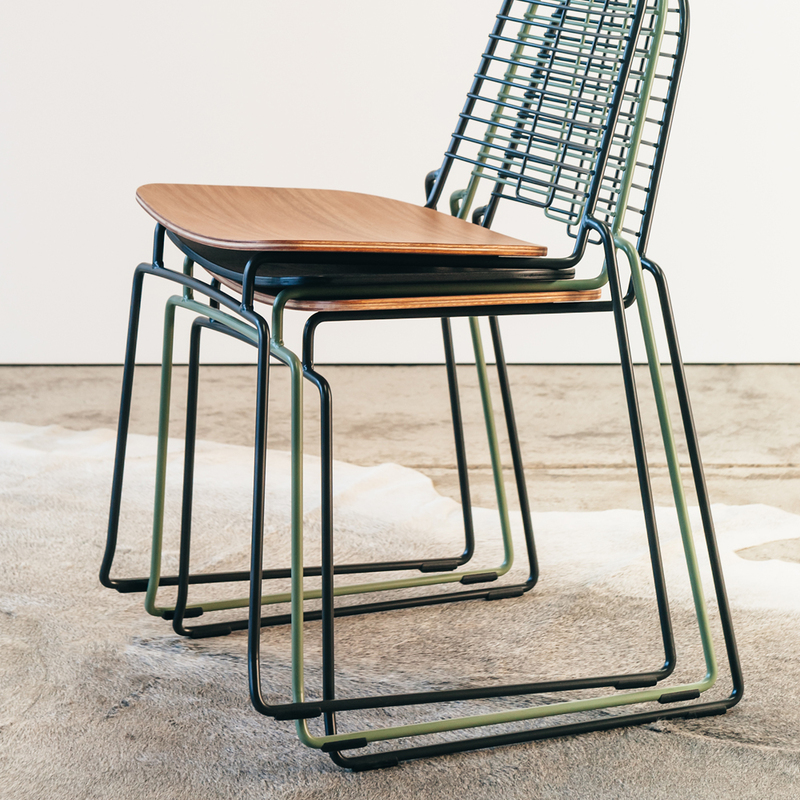 The brief was to create a lightweight wire chair that stacked well, looked great, was super comfortable and had personality. 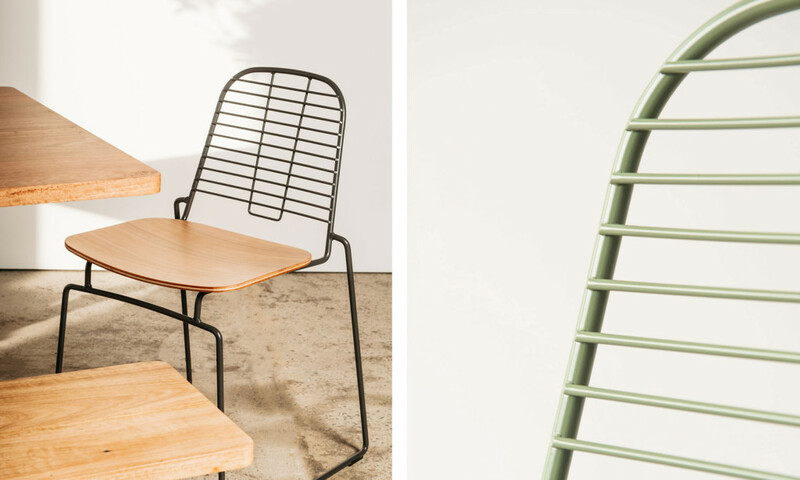 The piggy back chair ticks all these boxes. 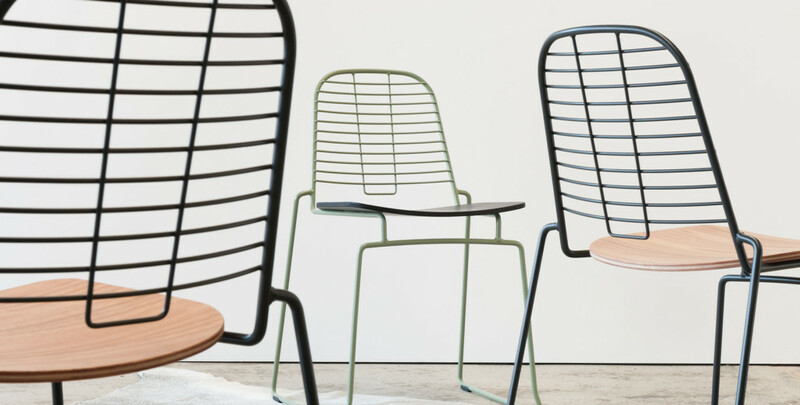 It is available with either a ply seat, or a moulded poly seat for outdoor use and a bar height version with either seat option.